This is a full trailer for Spider-Man: Into the Spider-Verse. 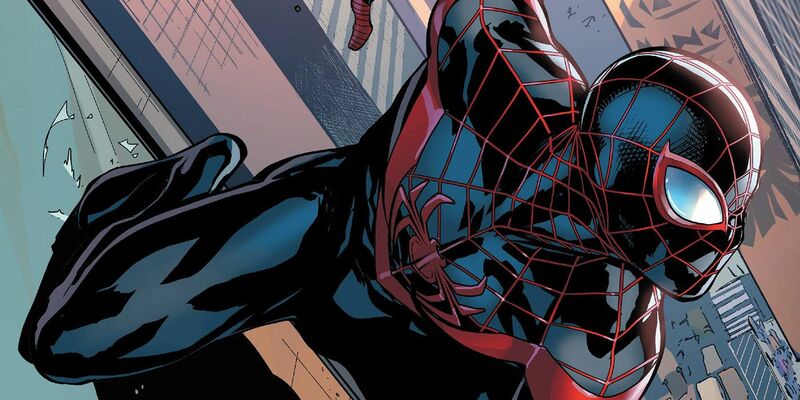 It was written by Phil Lord and Christopher Miller, directed by Bob Persichetti and Peter Ramsey, and stars the voices of Shameik Moore as Miles Morales / Spider-Man and Liev Schreiber as the film's main villain Kingpin. They studio also annonced that they will be joined by Hailee Steinfeld, Mahershala Ali, Jake Johnson, Liev Schreiber, Brian Tyree Henry, Luna Lauren Velez and Lily Tomlin. Johnson will voice Miles’ reluctant mentor, Peter Parker, Hailee Steinfeld will play Spider-Gwen, Ali will be Miles’ uncle Aaron, Henry will play Miles’ father Jefferson, Velez is Miles’ mother Rio, and Tomlin is Aunt May. It is scheduled to be released by Columbia Pictures on December 14, 2018. Check out the trailer below.